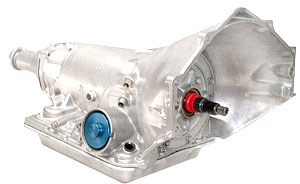 THIS TRANSMISSION IS ONE OF A KIND! IMAGINE ALL OF THE BENEFITS OF A 4L65E--WITH NO COMPUTER! Reinforced Bushings covering 50% more surface area for High Torque/High Horsepower applications. Check out the link on the main page of the 10second Full Size. This is what that monster is packing!